The following is a report on my fishing goals last year (2014). Another year without Salmon. Unfortunately I was unable to hook into one this year. I am a little discouraged but I know that next salmon season starts in July and gets good in Sept/Oct so that will give me plenty of time to forget this year’s defeat and hit them hard this year. At the beginning of this year some rivers and creeks were closed down due to the California Drought. . One of them happened to be the American during the steelhead run. I had plans of hitting the American with Mark but ended up not being able to do so. So another year with no steelies. This is one that I didn’t really focus on because in all honesty… I forgot about it. 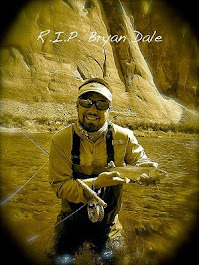 Haha I did have some unfruitful trips for trout and a couple of decent ones. Maybe this goal will roll over to next year. 4. 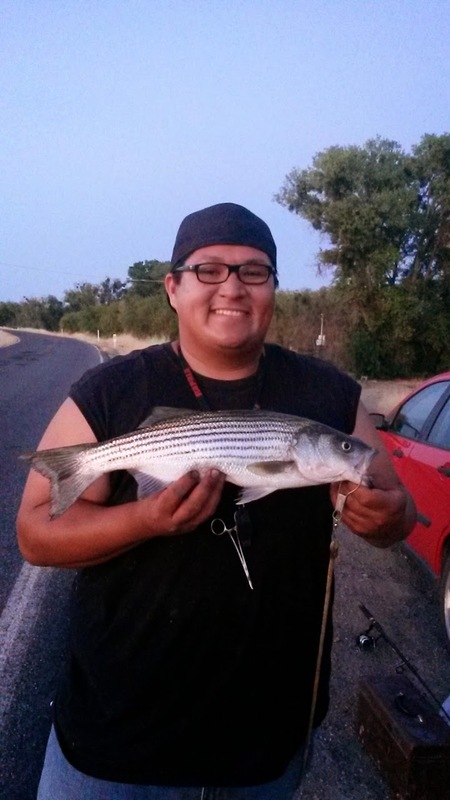 Catch a new personal best striper, and then do it again! I caught a good amount of stripers this year. Unfortunately most of them didn’t have any size to them. I caught one 22” but that was as big as they got. My current personal best was a 24” striper. Not even close. My biggest this year was a 3 lber. No 7 lbers yet! 6. Find 5 new fly fishing spots. I guess I can say this was partially completed. I found two new fly fishing spots but didn’t intentionally search for new spots as much as I should have. Once again, this will have to roll over into this year. 8. Take a trip somewhere JUST to fish! Didn’t happen but made progress on it. I have a buddy that moved out to Colorado Springs and I already told him that I will come visit him this year or next year. Destination: Rocky Mountain National Park! 9. 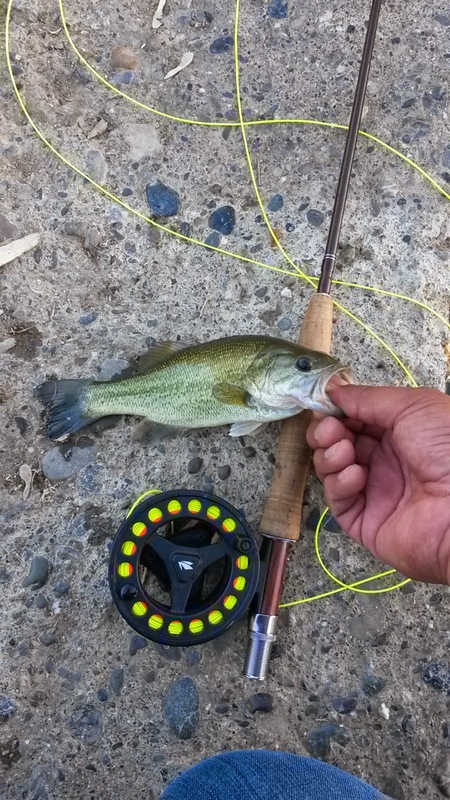 Catch my first Largemouth and Smallmouth bass on the Fly! Unfortunately it took me to get all the way to #9 before I could report some success. I did in fact manage to catch a few Smallies and a few Largemouths on the fly this year. No size to them but still exciting when I fulfilled these goals. Once again, this was something I was able to accomplish early in the year. 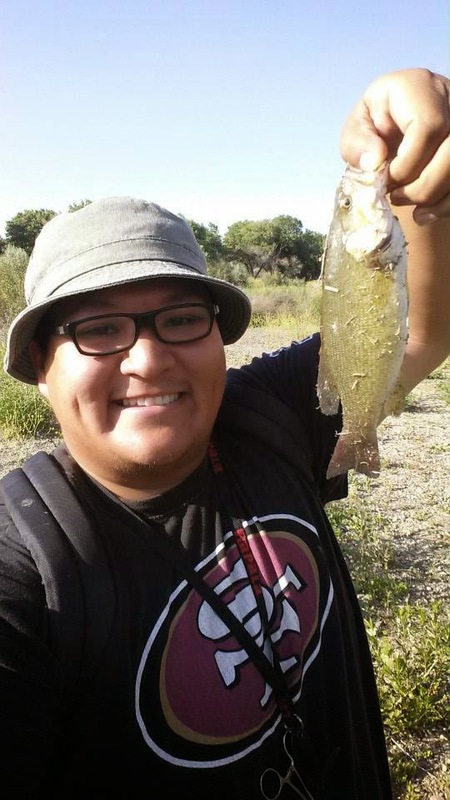 This year I caught 78 Panfish! Good year for gills, crappie and green suns! If you fish, they will come. Some pretty hefty goals. I'll keep my fingers crossed that you make them. Only keeping some of these this year. My main thing is going to be fly fishing more! Exactly what, Mark, said, "If you fish, they will come." Keep at it, my friend, and you'll hook up with your first salmon. It took me years and years to catch my first musky. I finally did it this year, and boy am I cherishing that moment! Can't wait for that moment, brotha! It's juan, Bill! lol 78 panfish! I was pretty happy about that. About half way through the year I had almost met my goal so i switched over to other types of fish and ended up catching 78 anyway! great times indeed! Always great to have goals, keeps you moving forward as an angler. I have a few myself each year as well. Definitely. This year they will mostly be about the fly!